I've had this pattern in my Ravelry queue for almost 3 years. 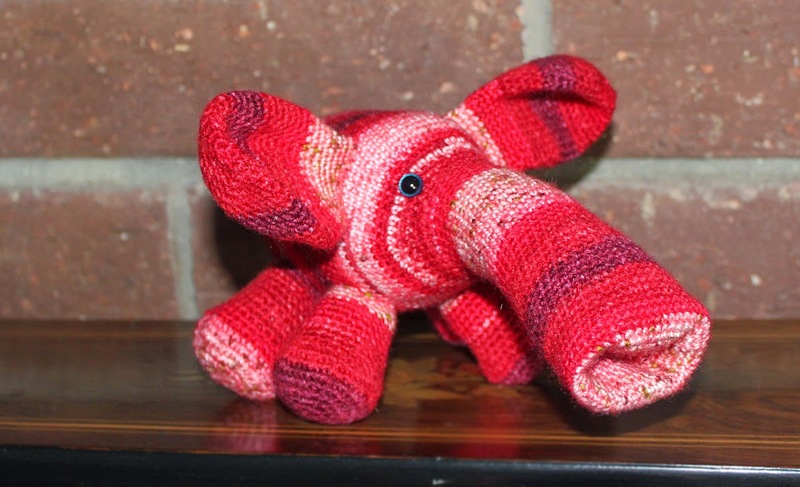 Finally bought the pattern, ordered the discontinued yarn from England (boooo for high shipping rates) and got to work. 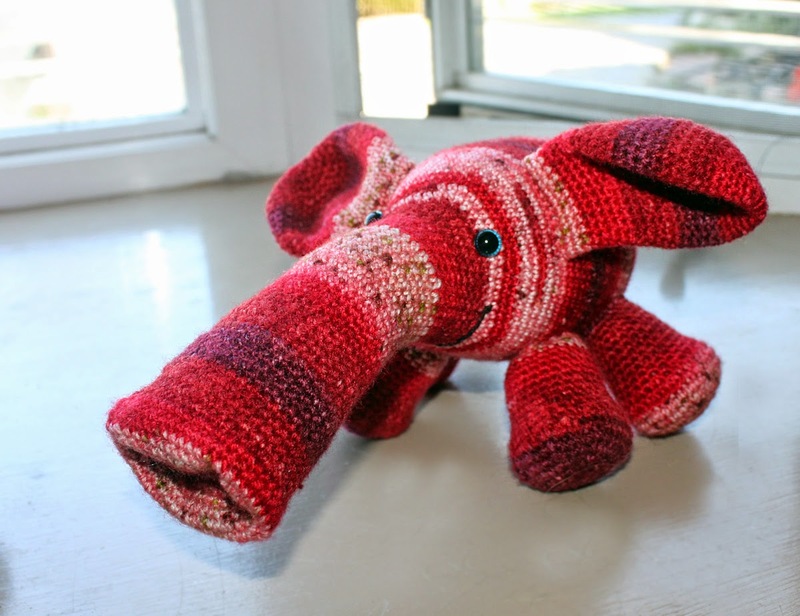 Part of Tooter's charm is the way the yarn patterns along his body and trunk. Now that I've made one and seen how the pieces fit together, I'm planning to experiment with different, thicker, self-striping yarns. Bodie* Tooterphants loves belly rubs. 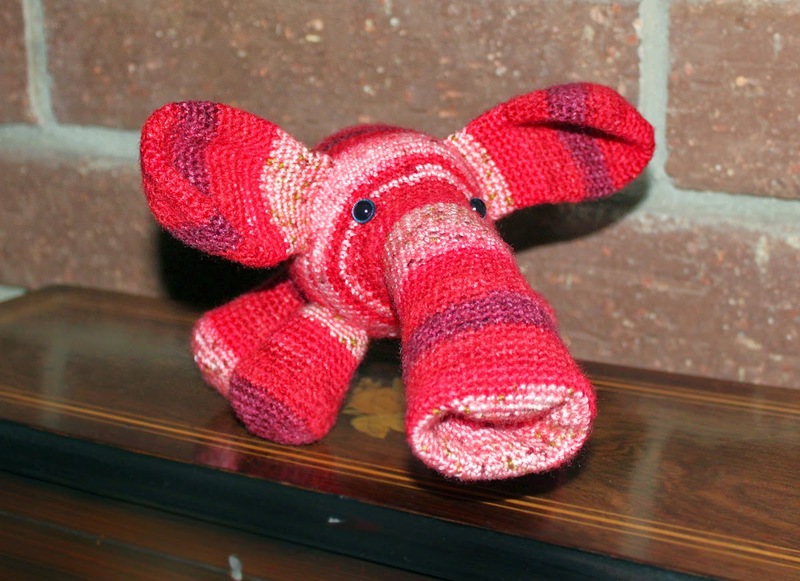 The well-written pattern is available on Ravelry and Etsy for under $5 US. 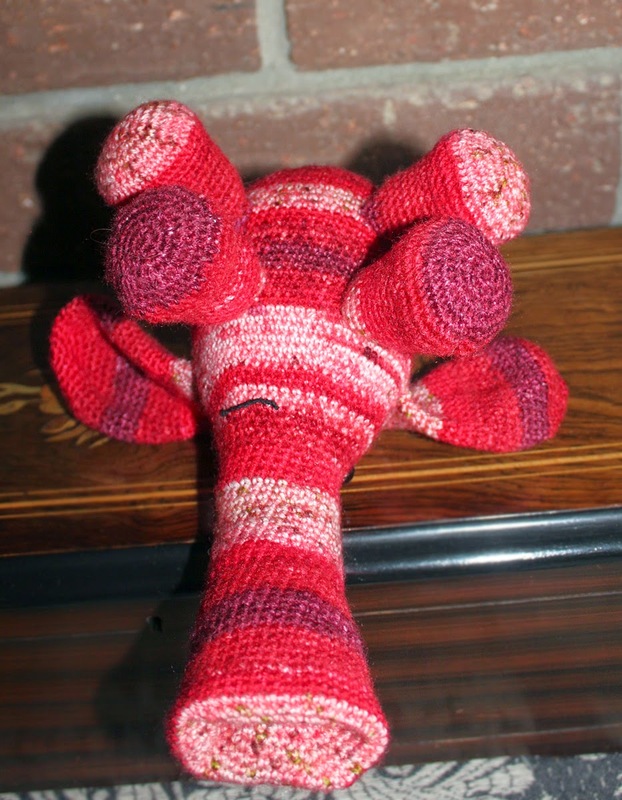 The only changes I'm planning are smaller ears (these are too floppy for my tastes) and sewing the legs at the center of the belly rather than toward the sides. I definitely see more of these in my future. Christmas presents anyone? *Addy and Leia call all elephants "Bodie" after their favorite pachyderm at the Denver Zoo.